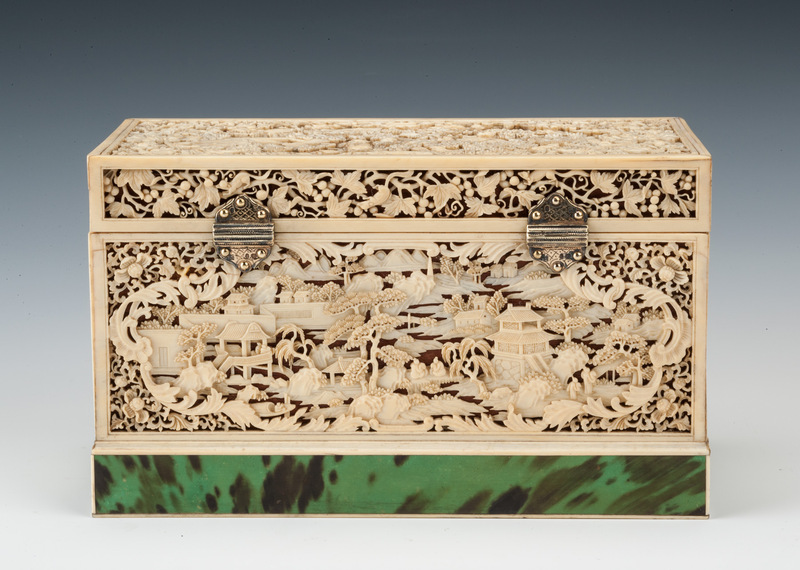 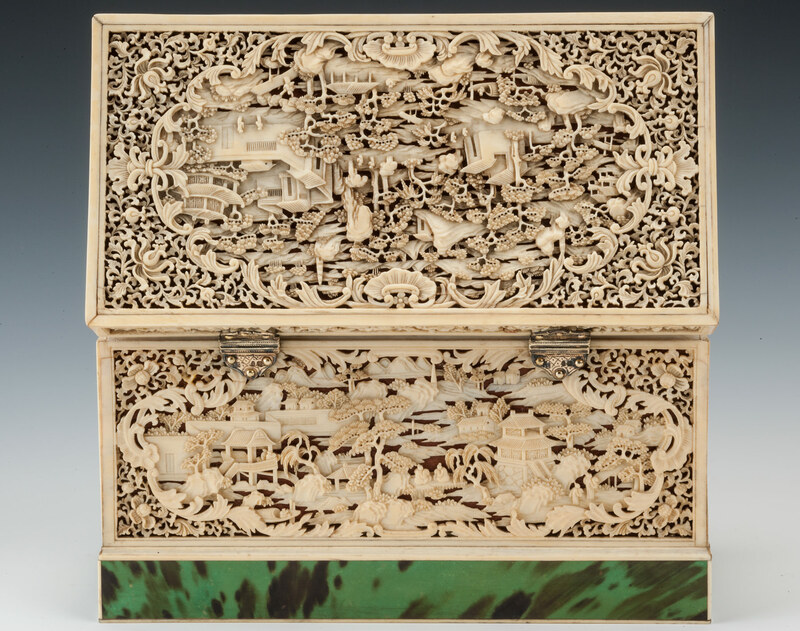 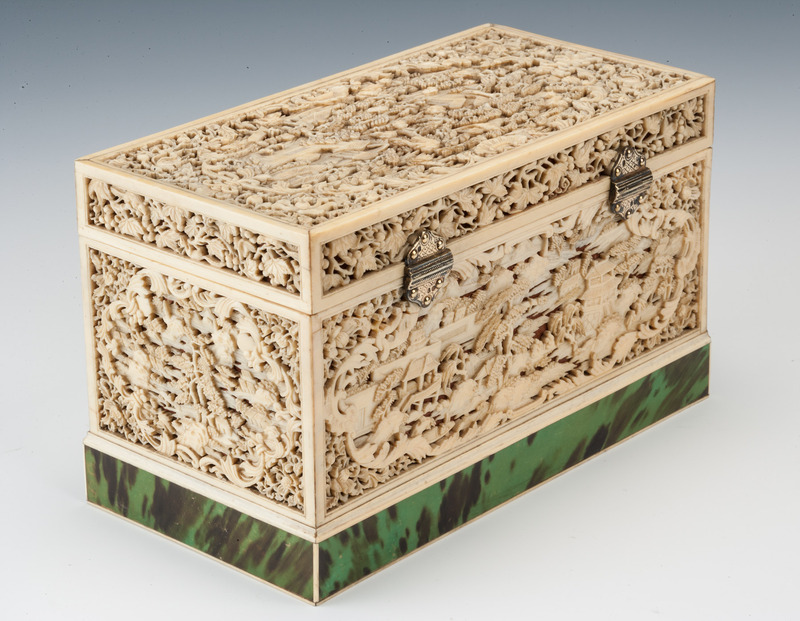 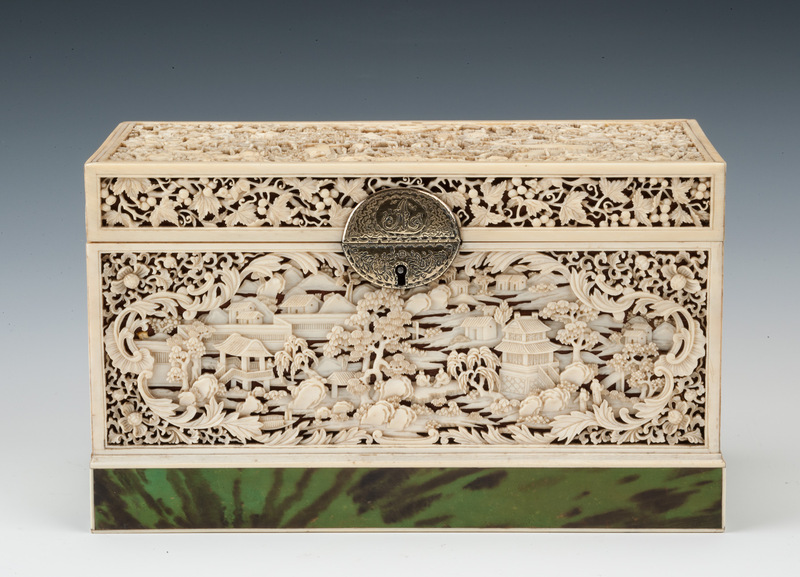 An exceptional Georgian tea chest; deeply carved and fretted Chinese Export ivory panels on a cedarwood carcass, standing on a plinth base veneered in green tortoiseshell with matching tortoiseshell-covered lids to the two inner compartments. 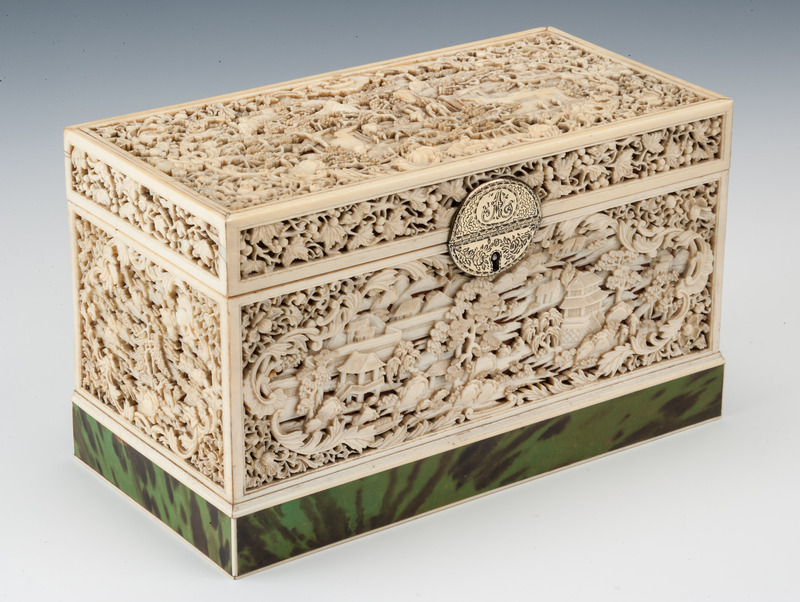 The hinges and escutcheon of engraved silver, maker's mark JS, (Josiah Snatt? 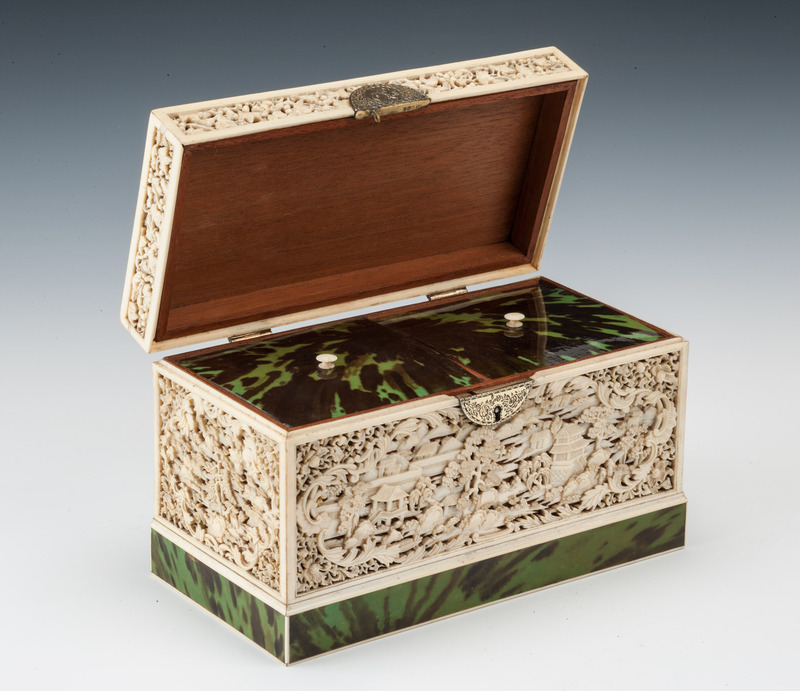 ), date letter 'I' perhaps Newcastle 1799.